Offering garden or river views, the air-conditioned rooms are decorated with traditional Lao silks and dark wood furnishings. Each room has cable TV, mosquito nets, and a private bathroom with toiletries and shower facilities. Villa Merry No. 1 is an 8-minute walk from the evening craft market, the Royal Palace and major Buddhist temples. 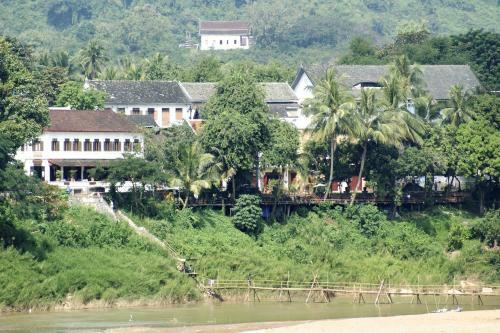 Luang Prabang Airport is a 10-minute taxi ride away. 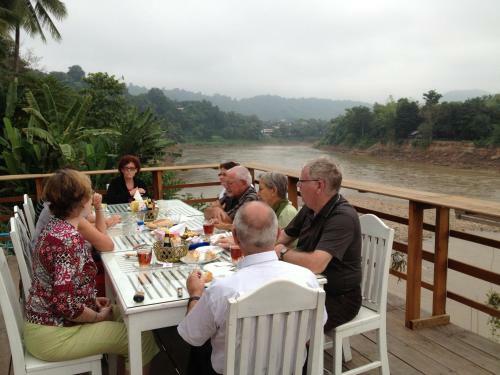 The English-speaking staff can arrange tour bookings, airport transfers, and laundry services. A safety deposit box is provided at the front desk, which also offers a selection of magazines and newspapers. A range of activities such as cycling the peninsula is also available. Guests can enjoy the chef prepared breakfast and snacks at Villa Merry No. 1 every morning. Restaurants and bars can be found less than 10 minutes’ walk away.